How to change the position display of the camera name and time/date on the channel of DVR system? How to have the camera name not display on the channel of DVR system? How to have the time/date not display on the channel of DVR system? What if you changed the resolution of DVR system accidentally, and cannot get any display on TV from the DVR. Your monitor says out of range. How to change the camera name? How to set up "Scan" function on DVR? 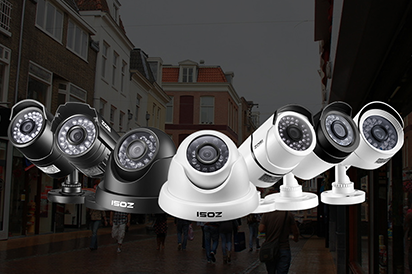 Can Zosi AHD DVR work with 960H cameras? Can we have sound in record video? What kind of hard drive can be used with our DVR? What to do when you can only see 4 channels and cannot see another channel on your screen or monitor? When remote viewing, you device show offline / network anomaly/ can not remote viewing outside your house?